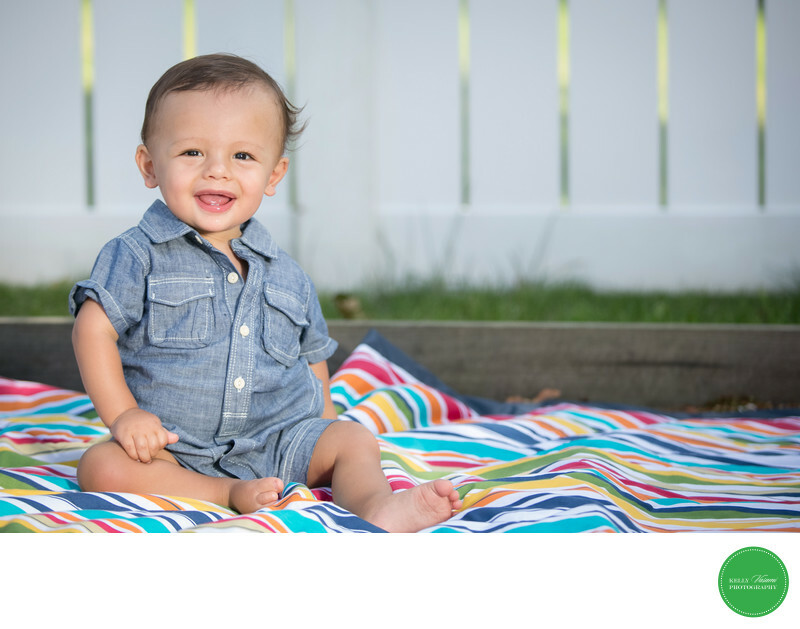 This outdoor natural light photo was taken in the family's backyard on a colorful striped blanket. The handsome, stylish baby boy is adorn in blue denim and happily sitting up on his own. This stage is so awesome to photograph as in a few months he will be crawling all over the place and not as easy to capture (although not impossible). His super wide smile is contagious and even shows his first little bottom tooth. Composing the image to the left adds interest by creating an interesting us of blank space.